Did you get your “pearl” extracted? If you are now waking up at night due to excruciating pain and if you have acute pain associated with a foul odor originating from your mouth, you may be coping with a dry socket. In this article, we will mention one of them, which is dry socket. The teeth are very important, which not only help you digest daily foods and fruits but also make you confident when communicating with others. There are a number of problems relating to our teeth which are quite painful. One such instance is a dry socket. In medical terms, a dry socket is a called “alveolar osteitis”. It occurs after one tooth is moved out, especially the wisdom teeth. Socket is understood as a hole where your tooth is pulled out. Normally, after a tooth is extracted, formation of blood clot happens to defend your bone as well as your nerve ending. If the place where the tooth extracted has not completely recovered whereas the clot disappears, this problem occurs, accordingly. As estimation, just 5% of people getting their teeth extracted suffer from this condition. After a tooth is extracted, the blood clot will develop at the tooth base. Steadily, bone tissue along with gum will develop and fill the socket. Naturally, the blood clot is washed away. When it becomes dislodged prematurely, the dry socket forms . As a result, the raw bone becomes exposed, which is characterized with excruciating pain. The pain may spread up to the jaw line and ear as well. Those people with this condition find it hard to sleep, speak or do anything else . What Are Common Causes Of Dry Socket? Firstly, dry socket may be caused by bacteria. The wound where your tooth is removed can be easily infected by bacteria. After your tooth extraction, you still have to digest food every day. If you do not clean all food remaining in your mouth, bacteria coming from them will infect your sockets. As a result, you fall in dry socket. Secondly, if a small bone left in the place where you teeth is pulled, you can suffer from this problem. Thirdly, some other factors, such as smoking, suffering from oral infection or applying too much corticosteroids can make you to face up with dry socket. What Are Symptoms Of Dry Socket? The place of the socket is painful. Then, the other parts, including your cheek or jaw near the sockets are painful, accordingly. The face side where your tooth extraction happens is sore. The soft parts of your socket are swollen. You will feel uncomfortable taste in your mouth. You may suffer from mild fever. Your breath seems to be bad. What Are Risk Factors For A Dry Socket? In fact, some people might be prone to get dry socket after having a tooth extraction. They include people who poorly take care of their oral hygiene; smoke; have often trauma during their tooth extraction surgery; use birth control pills, and previously had a dry socket after a tooth extraction. Also, spitting a lot, rinsing too much or drinking via a straw after going through a tooth extraction can also provoke your risk of getting dry socket. In reality, women are more likely to get dry socket than men are. 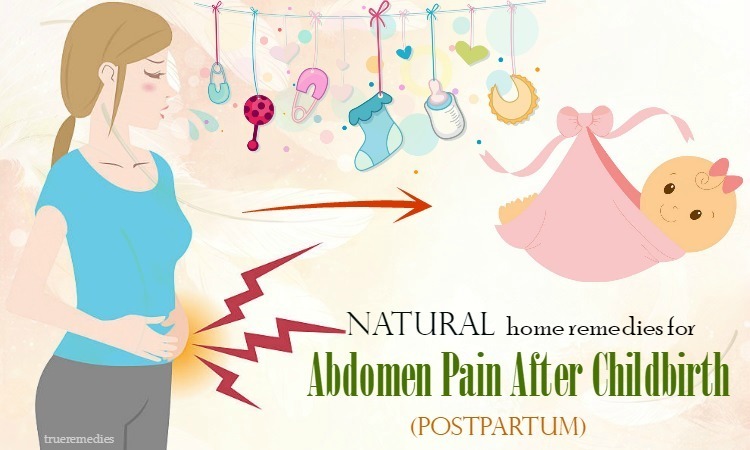 The reason might be related to hormonal factors like changes of hormones during cycles or the use of oral contraceptives. People over 30 years old with impacted third molars are also at higher risk of dry socket. Overtime, our jawbone becomes much denser and has a lower level of blood supply. Unfortunately, the dense jawbone increases your potential risk of a traumatic extraction and healing time. 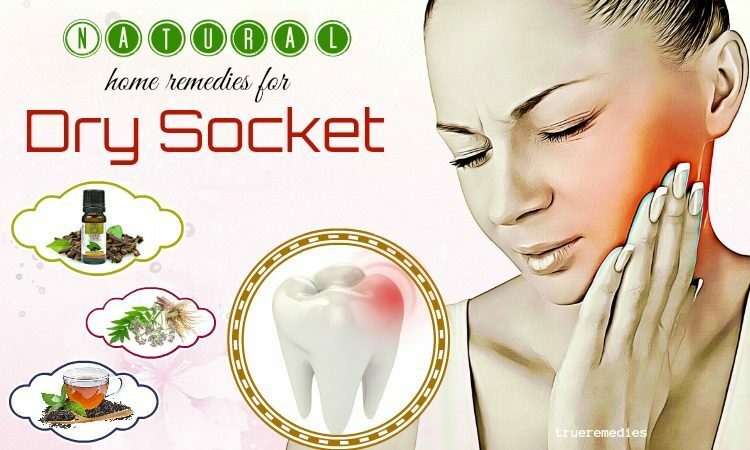 If you are so annoyed at your dry socket symptoms like inflammation as well as swelling, it is time for you to look through our article “18 Home Remedies For Dry Socket Tooth Pain In Mouth”. Generally speaking, home remedies for dry socket often involve temporary pain management till the professional dental could be seen for treatment. Please read through our article on TrueRemedies.com. 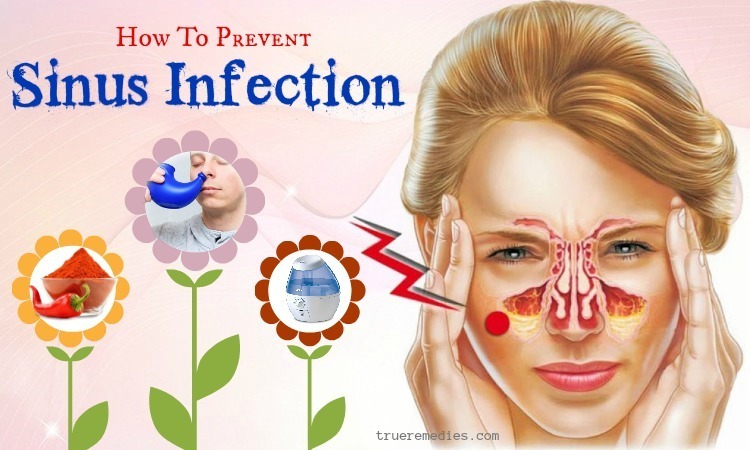 However, if after using these home remedies and you see no improvement, it is time for you to go to see your doctor. 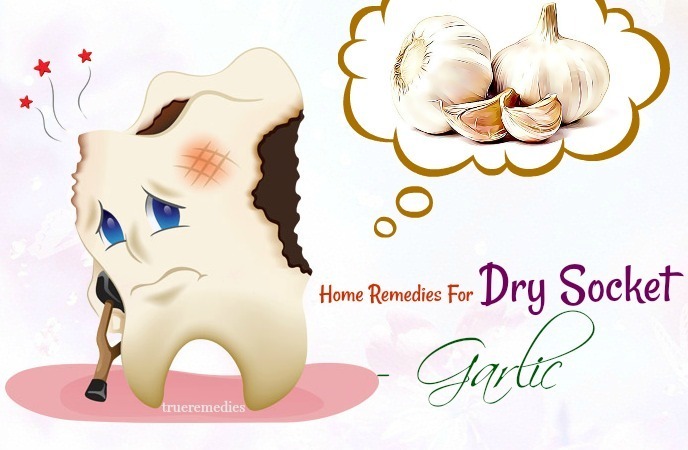 If you suffer from dry socket, you should think of clove oil as one of the top home remedies for dry socket tooth pain. Clove oil is extracted from the buds of clove tree which is called “clavus”. The oil owns some important minerals which are calcium, potassium, iron, vitamin C and vitamin A. It is used in combating against the problems relating to the teeth, skin, and health problems, namely diabetes, nausea, respiratory issue. This oil owns it strong anesthetic as well as analgesic power which is a good solution to reducing your pain. Applying clove oil, you can form a barrier to protect exposed bone as well as nerve ending from being affected. This oil gives a hand in eliminating bacteria in your mouth as well as soothing your pain due to the inflammation. You can easily find clove oil in many health stores or buy it online these days . Pour an amount of clove oil in a cup. Dip a swab in the cup. Put the swab on your socket for several minutes. Wash it off with some lukewarm water. Apply this process several times every day. Cold compress is effective in reducing inflammation and pain happening in a number of health diseases. It is also good for reducing the pain due to dry socket. As mentioned above, dry socket often makes your cheek and jaw painful. Therefore, the pain can be alleviated significantly by compressing something cold. It will calm the nerves. The pain and swelling is decreased, accordingly. Pour some cold water in a bowl. Soak a clean cloth in the water. Then, put the cloth over your painful cheek. Let it stay on for 20 minutes. Do this action 4 times every day. Continue doing this for 3 consecutive days. Compress something warm to the socket. Prepare a cup of cold water. Keep it on your mouth for 5 minutes. Do this process several times every day. Take 2 or 3 small ice cubes. Wrap them in a clean piece of cloth. Then, put it over your socket or affected areas. Let it keep on for 10 minutes. 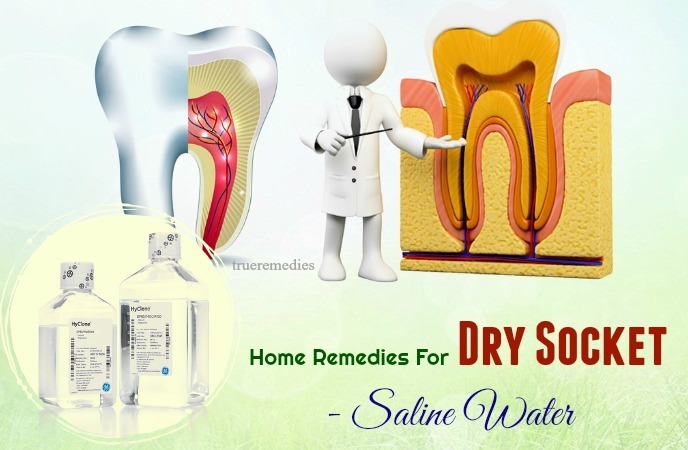 Saline water is the next home-made ingredient that you should try to combat against dry socket because this liquid is very good for your oral health. It is a good idea to rinse with saline water within a day when you finish your tooth movement. Its effectiveness to combat against dry socket has been mentioned in a study conducted in 2014. The warm saline water is a key to soothing the painful and swollen parts. Furthermore, the saline water gives a hand in fighting infection. Take ½ teaspoon of salt. Pour them in a bowl of lukewarm water. Stir the mixture thoroughly to dissolve the salt. Gargle with the mixture thrice every day. As effective as clove oil, tea tree oil is one of the next home remedies that you can utilize to reduce the pain caused by dry socket after your tooth extraction. Acting as an effective antiseptic ingredient, tea tree oil is a wonderful solution to dry socket. More specifically, it helps your tooth not to be infected due to impurities. Soak it in a bowl of clean water. Then pour several drops of tea tree oil in the cloth. Put it on the affected areas. Allow it to sit on for a few minutes. Use warm water to gargle your mouth. Apply this remedy thrice every day. My husband has the habit of drinking a cup of black tea every morning. Many of other people have the same habit. It is easy to understand why many of them drink black tea every day. Tea plays an important role in improving our health thanks to its high quantity of essential minerals. There are 3 kinds of tea, including white tea, black tea and green tea. They are equivalent to each other regarding their nutrients. The difference between them lies in how they are processed. Black tea undergoes ferment process; whereas green and white tea do not. You can also utilize black tea bags for your dry socket because its great benefits in alleviating the pain. These benefits lie in its tannic acid which contributes to soothing your painful and swollen areas due to dry socket. Take a bag of black tea. Pour sufficient hot water in the bowl. Then, take it out of the bowl. Next, place the bag in a freezer for 10 minutes. Allow the tea cool down naturally. Put the tea bag over your affected areas. After that, gargle with the tea. Do the process once every day. If you get some problems with your stomach, you must know how effective turmeric is in treating digestive problem, such as stomach, digestive disorder, etc. Turmeric is also regarded as one of the excellent home remedies for dry socket that you should keep in your mind. Thanks to its strong anti-inflammation property, this natural ingredient can relieve the pain as well as push up its healing time. In addition, it acts as a natural analgesic, soothing your pain due to dry socket. Take ½ teaspoon of turmeric powder. Add some water to it. Mix them well to have a paste. Put a clean cloth in the paste. Apply the paste over your dry socket. Allow it to sit on for half an hour. Use some warm water to gargle your mouth. Pour a teaspoon of turmeric powder in a bowl. Add a glass of clean and warm water. Gargle your mouth with the mixture. Do this several times every day. Gargle your mouth with some saline solution. Put ½ teaspoon of turmeric powder. Pour the powder in a bowl. Add a cup of plain milk to it. Stir them well to form a paste. Use a clean towel to apply the paste over your socket. Let it stay on for half an hour. Do you like garlic? Do you often include this spice in your daily meal? Actually, garlic is not a common spice around the world but also well-known for its significant benefits to fight a number of health diseases. In addition, this common kitchen ingredient can soothe your swelling and pain due to dry socket so much. Its effectiveness can be explained due to its strong anti-inflammation as well as its antibiotic. It can alleviate your painful tooth and gum caused by dry socket. It also gives a hand in preventing your teeth from being infected. Take a clove of fresh garlic. Chew it gradually for several minutes. Use warm water to gargle the mouth. Take 2 cloves of fresh garlic. Put them in a blender. Sprinkle some salt in it. Turn on the blender to form a paste. Put the paste over your extracted areas. Keep it on for half an hour. Do this application several times every day. Apple cider vinegar is mentioned as one of powerful home remedies for dry socket in mouth and a number of other health issues. The vinegar is made of apples which are considered as healthy fruits. As a saying goes “Eating an apple every day, keep the doctor away”, we have to admit significant benefits of apples for our health. As to the sockets formed after your tooth extraction, apple cider vinegar contributes to preventing your extracted areas from being infected thanks to its ability to fight bacteria as well as inflammation. Pour ½ teaspoon of apple cider vinegar in a glass of water. Soak a clean towel in the mixture. Put it over your extracted areas. Apply the process twice every day. Having a suitable diet is not only beneficial for maintaining our health but also a good way of reducing the pain due to dry socket after your tooth extraction. So, we will show you what a suitable diet for the persons undergoing tooth extraction is. Intake sufficient water every day to push up the healing process thanks to its oxygenation decrease of the blood. Consume soft foods, such as yogurt, plain soup, potatoes, etc. Consume an ice cream because its coldness can reduce your pain partly. Avoid eating hard and spicy foods, such as chili. Try not to use the affected side when you digest your foods. Avoid tobacco because its toxins can harm and make your wound infected. Hydrogen peroxide is also regarded as one of the top home remedies for dry socket. It can sterilize your dry socket, preventing bacteria from entering the wounds. 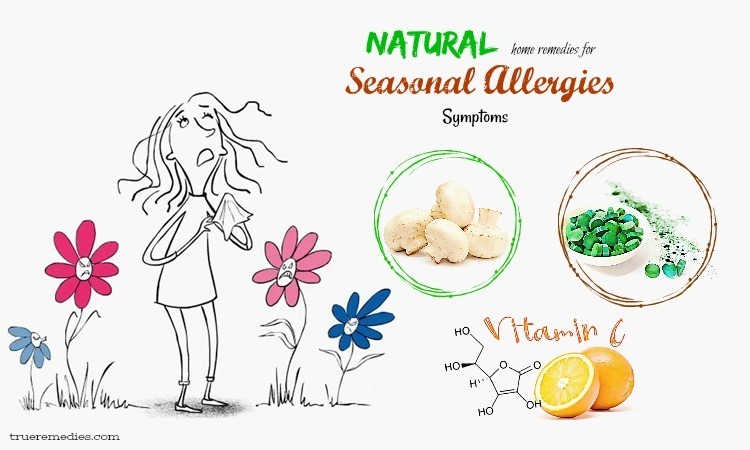 In addition, it is effective in alleviating the annoying symptoms due to dry socket. Take a cup of hydrogen peroxide. Put it in a large bowl. Pour in 4 glasses of clean water. Gargle your mouth with the mixture several times every day. Valerian root is also one of the herbs that help you a lot to combat against this problem. It gives a hand in helping you to avoid dry socket thanks to its tranquilizing compound. The root of the herb can be able to make your tissues as well as the nerves relaxed. As a result, you will feel less painful. It also contributes to helping you to enjoy a sound sleep, shortening the healing time. Take an amount of valerian root which is dried. Add some boiling water in. Let it steep for 15 minutes. Enjoy the tea 2 times every day for a week. Peppermint is a well-known ingredient in toothpastes for controlling our bad breath. Peppermint oil contains methone and menthol which contributes to solving some health issues, such as easing stomach ache and headache, improving digestive system, freshening a bad breath. Therefore, it is not strange if it presents among the natural remedies for dry socket. Containing menthol which acts as natural anesthetics, peppermint works well to alleviate your pain due to dry socket. Moreover, this kind of herb can combat against your bad breath caused by this problem. Put a clean cloth in a bowl of clean water. Dip the cloth in the oil. Then, put the cloth over your affected areas. Allow it to stay on for 15 minutes. Gargle with some warm water. Repeat the application 2 times every day. Neem is the next herb among home remedies for dry socket pain. Neem or Indian Lilac is originated in India. If you have chance to India, you may see it everywhere. This plant is very common in India. You can utilize its leaves, bark, root or flowers. This kind of herb contains its strong healing power. In addition, it has ability to combat against fungi as well as bacteria, contributing to preventing further infection. It is an excellent solution to your dry socket after your tooth extraction. Take some fresh Indian Lilac leaves. Put them in a blender to form a paste. Apply the paste over your inflamed areas. Do this process 2 times every day for a week. Chamomile is not only the ingredient for the tea that most people love drinking around the world but also a good solution for a number of health issues. It contains anti-inflammation power, soothing the swollen and painful areas. It also gives a hand in improving your bad breath due to dry socket. Take a tablespoon of chamomile leaves. Boil the mixture for 5 minutes. Let the mixture steep for 15 minutes. Enjoy the tea 2 times every day for several days. Containing a high content of citric acid, lemon is a kind of fruit that you should utilize to reduce the swelling and painful areas. Lemon juice with a little bit sugar is a favorite beverage for most of us, especially in hot weather. It is also a common spice around the world. It is an excellent ingredient for eliminating bacteria, preventing the wound after tooth extraction from being infected. Combining with some salt, this remedy works very effectively in combating against dry socket. So, you should not miss it out when you suffer from socket dryness after you had had pulled a tooth out. Squeeze it to extract its juice. Sprinkle some salt to the juice. Use a cotton cloth and dip it in the mixture. Honey is the best natural ingredient for healing wounds or inflammation thanks to its strong anti-inflammation. Honey is a favorite liquid for most people thanks to its sweet taste. There are many types of honey around the world, namely liquid honey, comb honey, etc. 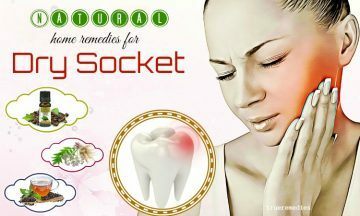 You can utilize this very easy-to-find ingredient at home to reduce the pain you are suffering from due to dry socket. Firstly, gargle with saline water. Prepare a clean cotton cloth. Pour some raw honey on the cloth. Then, apply honey over your inflamed sockets. When it comes to yogurt, the first thing appearing in your mind is its benefit to the digestive system. We have to admit that yogurt is also a wonderful ingredient for eliminating bacteria. In addition, consuming a plain yogurt is suggested for every one daily. It helps not only to improve your digestive system but also push up the healing process of dry socket. Consume a plain yogurt every day. Apply this step thrice every day. Aloe vera is another herb that you can use to combat against your dry socket. You are suggested to use this plant because it is very easy to find it around you. Or, if it is not available at your garden, you can easily buy it at markets. The gel extracted from aloe vera leaves can contribute to reducing swollen and inflamed areas. As a result, the pain is reduced significantly. Use a knife to extract its gel. Use a cotton ball to apply the gel over your socket. Having a proper oral hygiene. Frequently using oral rinse at least 2 times every day. Gargling with saline solution to limit bacteria growth. Avoid smoking for 2 days after your tooth extraction. Eating soft kinds of foods, such as boiled potatoes, boiled eggs, soup, etc. Avoiding hard foods as well as drinks containing caffeine. So, you have finished reading through our home remedies for dry sockets. We are sure that you have chosen your suitable ones in our article about home remedies for dry socket”? 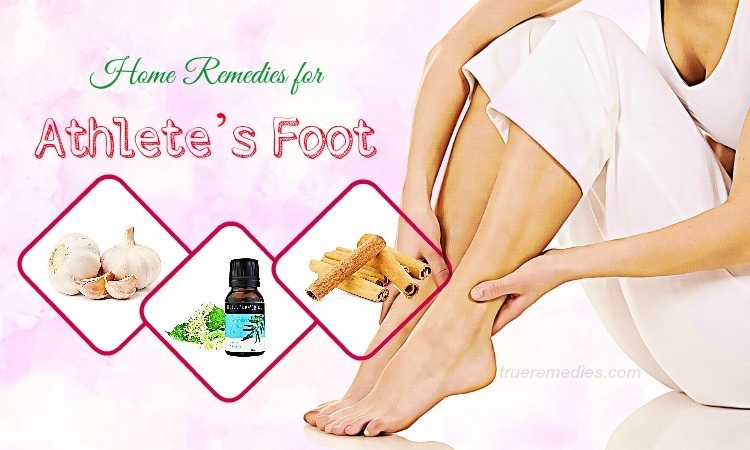 Because of the simplicity of these remedies, you can completely apply them at home. However, you should pay a visit to a specialized doctor for a better solution if your condition doesn’t improve at all. 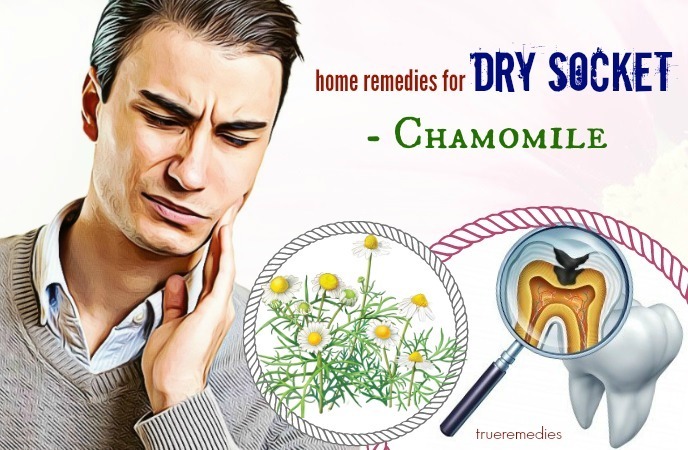 If there are any concerns about the remedies mentioned in our article of “18 Home Remedies For Dry Socket Tooth Pain In Mouth” presented in Home Remedies Category. Your comments and ideas are always welcomed. We will try to give the feedback to you as soon as possible.